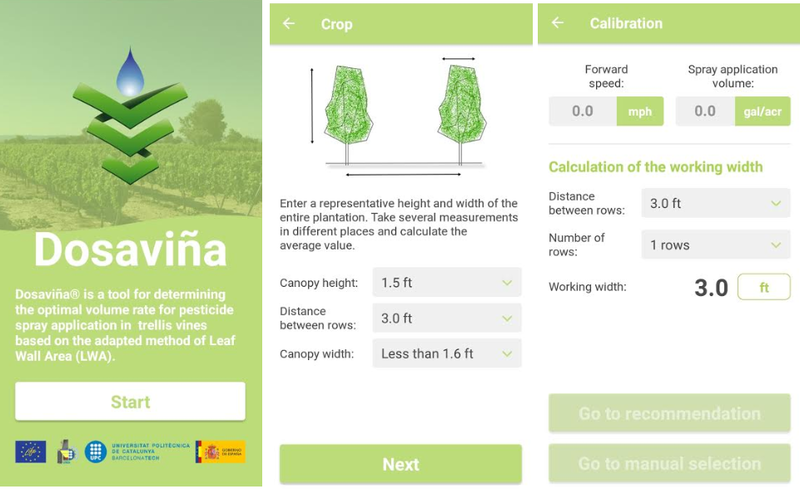 The UMA has just published DOSAVIÑA, an application for wine producers. It is an application that allows the determination of the optimum quantity of phytosanitary product and the spray application volume to be distributed on vineyard crops. The device also offers to the farmesr a practical guide for the selection of suitable working parameters (pressure, forward speed, nozzles ...).